The popularity and number of Bitcoin in existence has grown tremendously since the birth of this virtual currency in 2009. As of April last year, the 17 millionth Bitcoin was mined, leaving only about four million Bitcoin unmined. The total number of Bitcoin compatible ATMs has also grown gradually, rising from 500 in 2016 to more than 4,300 ATMs as of 2019. These numbers only reveal how scarce and valuable Bitcoin will be in the future. Bitcoin (BTC) has numerous advantages. To start with, it allows you to send and receive money from anywhere at any time even on a bank holiday. It doesn’t require users to share their financial and personal data online, reducing the risk of fraud and identity theft. Other benefits of BTC include relatively low charges, transparency, and the fact that it makes international payments easy. Bitcoin has gained traction in many cities across the globe. Here’s a look at the top 10 Bitcoin cities in the world. The City of Angels boasts being the entertainment capital of the world and home to some of the wealthiest people in showbiz. Los Angeles also prides itself on having an impressive number of Bitcoin ATMs – presently standing at 270. The city has a population of 3.9 million, with greater Los Angeles counting over 10 million residents and over 800 businesses that accept BTC. Los Angeles has over 45 Bitcoin meetups where ardent users of this digital currency can meet and share the latest developments and discuss ideas. With such growing interest, LA is very likely to outshine other cities when it comes to widespread adoption of Bitcoin. The Big Apple is a massive metropolis with a population of over 8.5 million residents, all hailing from diverse backgrounds. Everything is big in New York: high fashion, technology, music, fine art, and not forgetting theater and opera. In 2015, the New York State Department of Financial Services launched BitLicense with the goal of supporting virtual currency establishments. Since then, Bitcoin has been growing by leaps and bounds in New York, with 131 ATMs, 116 meetups and over 500 businesses that accept BTC payments. San Francisco is in the Bay Area and is home to world-famous Silicon Valley, an obvious choice for fervent and novice users of Bitcoin and other technologies. It hosts the world’s largest population of burgeoning techies who thrive on innovating and adopting the latest cutting-edge innovations, Bitcoin being one of them. San Francisco has 111 venues where BTC is accepted, and 18 of these venues are websites. The proliferation of online Bitcoin stores in San Francisco is not a wonder considering the huge incomes these tech experts are raking in per annum from companies like Apple, Facebook, and Twitter. Digital currency fever has reached across the pond making London a hotspot for Bitcoin and other alternative coins. The London Theater District was the first ticketing agency to allow customers to pay using Bitcoin, a groundbreaking move in the history of Bitcoin adoption in London. Some of the most popular Bitcoin startups in London include a Bitcoin vault called Elliptic and an exchange called Coinfloor. Nevertheless, Reuters reports that the UK’s Treasury has expressed concerns about security and will, therefore, enact legislation that will require Bitcoin merchants to disclose their identities. Such a move is quite understandable given the violent terror crimes that have become synonymous with European cities, and London is no exception. However, regulations will not thwart usage of BTC and its popularity will not wane. London is one of the major cities where Bitcoin is fast-becoming the norm with 104 venues accepting BTC payments. It has 134 Bitcoin ATMs serving its population of 8.3 million residents. Its meetup group has well over 2,311 members, making it the largest in the world. The capital of Spain is not trailing behind when it comes to adopting digital currencies. Presently, Bitcoin is accepted in 97 venues including over 20 restaurants, 20 shops, and a handful of lodgings. Digital asset exchange Singularity-X is playing a huge role in promoting the use of Bitcoin in Spain by running ads during popular live football events. Canada became the first nation to enact a law regulating virtual currency, but this move has not thwarted the uptake of Bitcoin. Vancouver – one of the densest cities in the country – has 86 merchants trading with BTC and 76 ATMs that offer Bitcoin. This availability makes it incredibly easy for Bitcoin fans to use it for payments at cafes, shopping malls, and just about any establishment that will accept it. The capital city of Austria is home to the world’s first Bitcoin Bank, located in a famous shopping street known as Mariahilfer Strasse. People can stop by the bank to swap cash for BTC and inquire about the latest developments in the digital currency industry. At the close of 2016, Bitcoin was the best-performing currency in Austria. Its value plummeted sometime in 2017, but it is now on a more stable trajectory. Seventy-nine venues accept digital money in Vienna and BTC is always on the menu. The success of BTC in Vienna has been mainly due to the privacy and security it accords users. Unlike when using e-wallets, credit and debit cards, users don’t have to share private details online. This way, credit card fraud is becoming more difficult to execute, solving one of the major digital payment issues in Vienna. Berlin, and Germany as a whole, has been accepting Bitcoin longer than its European counterparts. According to The Local, the uptake of BTC is so great that people can use it to pay for holidays, food, apartments, and even university tuition. It has one of the highest Bitcoin acceptance rates in Europe, which explains why in 2013, the Guardian dubbed it “the Bitcoin Capital of Europe”. Presently, Berlin has 77 Bitcoin venues, although it has only one Bitcoin ATM. The European School of Management and Technology (ESMT) spearheaded acceptance of Bitcoin to pay for university fees. Georg Garlichs – the CFO of ESMT – reckoned that this business school is highly innovative and future-centric, so the decision to accommodate Bitcoin was organic. This unprecedented move promoted other institutions of higher learning to start accepting Bitcoin payments. 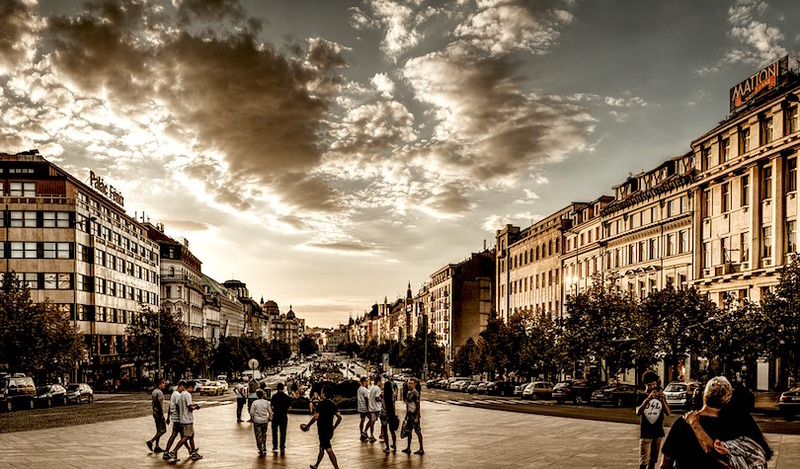 Prague boasts the highest number of Bitcoin merchants in the world. In fact, in 2017, one crypto enthusiast spent an entire summer in Prague, just to explore and shop in the many Bitcoin sellers in the city. The Czech Republic also boasts a healthy number of rural small and medium-sized businesses that accept Bitcoin. Buenos Aires is one of the leading Bitcoin cities in South America. The city hosts well over 2.9 million residents, and it has over 130 Bitcoin merchants. In a country that is currently in a financial crisis, Bitcoin has found a friendly welcome. Buenos Aires has eight fully functional Bitcoin ATMs. You would probably have trouble locating Vilnius, Lithuania on a map because there are 77 larger cities in Europe, but when it comes to adopting Bitcoin, Vilnius outwits cities that are 20 times larger. Currently, Vilnius has no functional Bitcoin ATMs but there are multiple businesses that are accepting cryptocurrency. Actually, if you attend a Bitcoin conference, you are likely to see more Lithuanians than Russians, Estonians and Ukrainians. Vilnius is quickly becoming a Bitcoin hotbed. Bitcoin continues to enjoy an unparalleled run in the realm of digital currency, and this popularity will not wane any time soon. With looming threats of cyber-crimes, more people are seeking safer transactional platforms that shield personal and financial data from hackers. More cities – including metropolises in emerging markets – will embrace Bitcoin in the upcoming years and perhaps, Bitcoin transactions will supersede electronic payment cards.